Jackson Hole built its reputation on its expert terrain and abundant snowfall, but the ski resort has grown up into a versatile mountain that is welcoming to all kinds of ski trips. 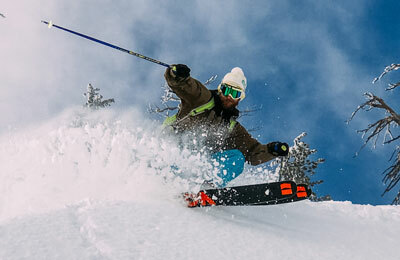 Intermediate terrain has been consisentely been expanded, most recently with the new Teton lift. Jackson offers skiers the ability to mix in other activities that make it unique: day trips to Yellowstone and Grand Teton National Park, the National Elk Refuge, and copious terrain for snowmobiling. The lodging base, thanks to the region's busy summers, is deep and varied. Visually, Telluride is the most striking ski town in North America. The richness of scenery created by 14,000-foot peaks and an old mining town that backs into a box canyon can't be overstated. The town is, by our judgement, the best in skiing, with venerable buildings that have been carefully restored making up the majority of the main drag (Colorado Ave.). It has more to offer than any other mountain town, with great intermediate terrain mixing with steeps that are among the best on the continent. Town is connected via a free gondola to Mountain Village, where much of the newer lodging is. The gondola runs from 7 a.m. to past midnight. The dining scene is among the best in skiing. Without Snowbird, there would be no tram in Utah's Little Cottonwood Canyon, which would, by our inexact and cursory calculation, constitute a crime against humanity. At least a crime against ski trips. Snowbird's slopes soar majesitcally up, its steep fall lines in full sight from the floor of Little Cottonwood, the best snow trap in the world. Snowbird, by our accounts, has the best terrain in Utah. 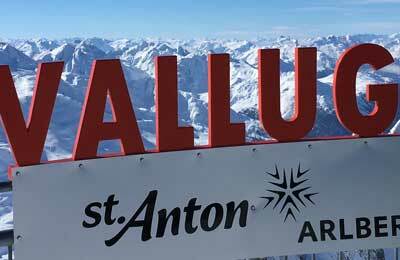 And only Alta, which borders it to the east, gets more high quality snow (it actually does). But Snowbird has the best ski hotel on the west side of the Wasatch in the Cliff Lodge, a place where ski trip nirvana happens regularly. Alta features some of North America's very best terrain and scenery along with what is, without a doubt, the best snow not in Alaska. This combination is then packaged up in a setting that still evokes how skiing was 50 years ago while still providing enough creature comforts to be recognized as a modern ski resort. For skiers, Alta is holy ground, a necessary pilgrimage that deserves one visit from every enterprising two-planker who ever thought of skiing powder on a bluebird day. 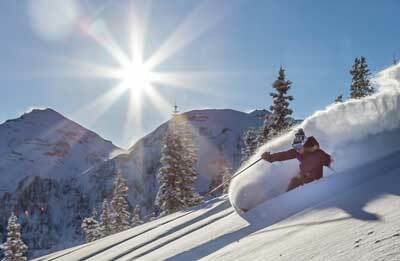 Alta can make an ordinary ski vacation a lifetime memory. 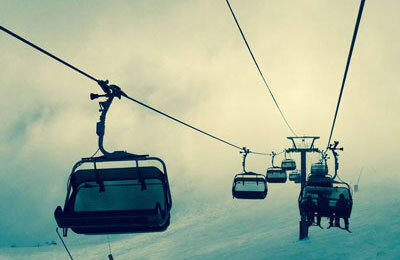 No name has become more synonymous with ski trips than that of Vail. It is the quintessential ski resort in the quintessential mountain state. 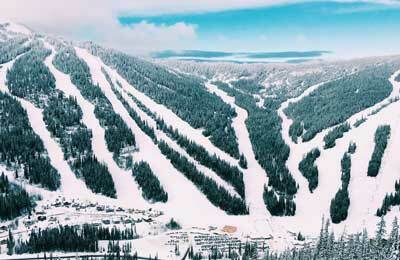 As the crown jewel of the largest company in the industry, Vail Resorts, Vail does not disappoint. In central Colorado there is no better combination of terrain, snow, and on-mountain lodging and facilities. Vail is one of the few ski resorts that can be everything to everybody. It plays the role well of a high-end destination—there is a Ritz-Carlton here—and it is also a comfortable place for terrain-obsessed powder hounds who sleep in a van. Vail Village puts everything at skiers' fingertips. Snowmass gives familes and skiers looking for a tight one-stop destination resort one of the best options in the industry. 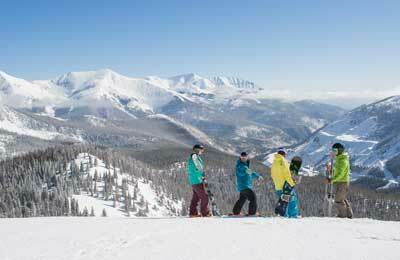 It's vast, it receives the most snow of the four Aspen resorts, and its lodging options can fit just about any kind of ski trip or group. The on-mountain dining options are among the best in skiing and the terrain can please all skiers, especially those interested in rolling groomers that go on for miles. Whistler-Blackcomb looms large over the entire North American ski scene from its perch in the coastal range of British Columbia. It's the largest, and almost the tallest (continuous vertical) ski resort on the continent. It also receives a great deal of snow—our True Snow stat has it at 415". But what keeps so many people coming back to this Colossus is the village. It has more variety at the top-end of the lodging spectrum, at the bottom, and in the middle than anywhere. This is the destination resort that all others seek to emulate. Steamboat ski trips have long been a staple for the experienced destination skier. Steamboat has a reputation for snow and powder that's well deserved, as the mountain sets up especially well for ski trips around New Year's and Christmas, when the mountain is 93% open on average, among the best such numbers in skiing. The low elevation makes Steamboat warmer than other Colorado resorts in the spring, which can lead to freeze-thaw cycles overnight. The lodging base is big, with a large amount of on-mountain accommodations. The town of Steamboat Springs is among the best in Colorado. 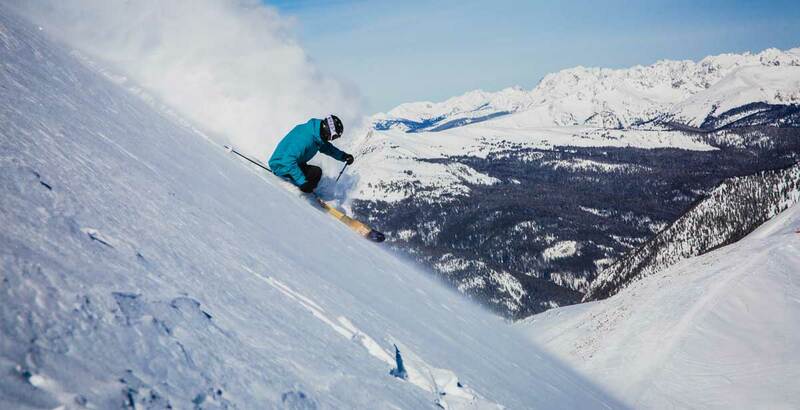 The pride of the Canadian Powder Highway in inner British Columbia, Whitewater is a place that regularly lands splashy shots in Powder, Freeskier and other magazines. With good reason. This place is deep, and it has high-octane terrain. The close-by town of Nelson is one of the best spots in the Canadian Rockies to hang out, with a burgeoning food scene and a good collection of bars and diversions. One of the iconic names in the ski resort world, Big Sky offers an experience befitting of its large state and its moniker. With 5,800 acres, only Whistler and Park City are bigger. But when there are crowds at these other resorts at times, Big Sky is almost always wide open. The terrain runs from legitmately steep and scary to gentle and rolling. The ski resort's strength is its intermediate terrain, which unfurls in all directions down below Lone Peak. 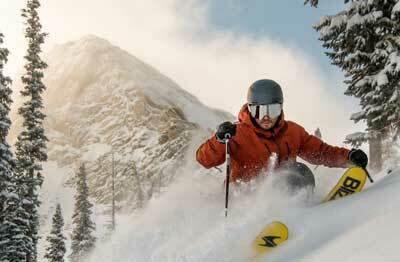 Lodging options for ski trips are top-notch and plentiful. One of the elite ski towns in all of the world, Park City commands respect for the strengths of its Main Street and the wide range of high-end dining available to skiers. This is a place upon which Hollywood descends once a year for the Sundance Film Festival (a great time to ski, tough time to find lodging). Along with its old town ambience and amenities, Park City is also eminently easy to get to, being only a 35-minute drive away from a major hub airport in Salt Lake. The skiing here offers something for everybody. Experts will find stashes on Ninety-Nine-Ninety and Jupiter, and only Whistler has more intermediate terrain than this place. The ski school is top notch and makes dropping off the kids easy. 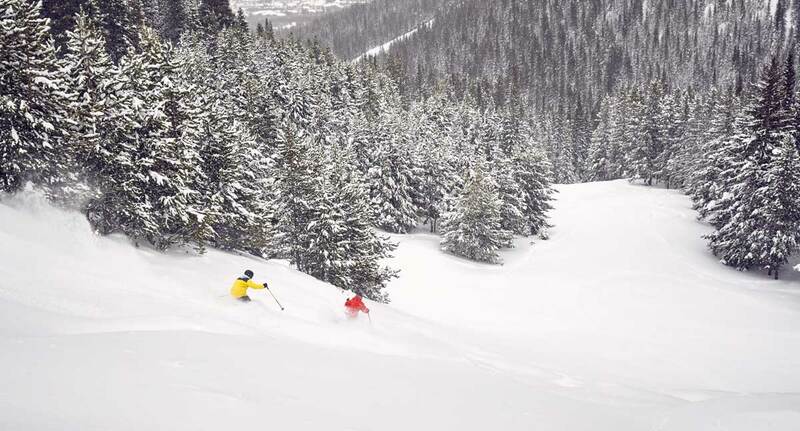 Winter Park ski trips offers skiers several notable advantages: a shorter commute from the Denver airport, compared with other I-70 resorts; cheaper lodging and lift ticket prices; and one of the best mountains for snow in the state of Colorado. The mountain has two distinct sides that offer all kinds of stashes and hideouts for skiers, as well as terrain aplenty for intermediates seeking some challenging blues. 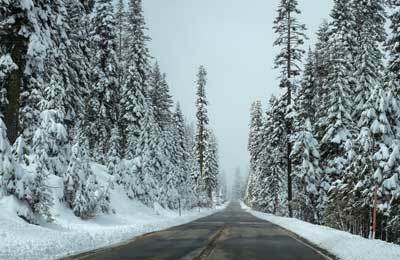 A great choice for Christmas and New Year's trips—good snow coverage, cheaper—and also for spring break. Revelstoke, with its perch west of Banff, far into the Canadian Rockies, is a ski trip that doubles as an exploration of inner British Columbia. The views here are nearly unmatched, with commanding vistas of the serrated Selkirks, and the mighty Columbia River flowing down below. Town, once a railroad and logging outpost, has grown into a destination itself, with a number of great restaurants. The resort is never crowded and the vertical drop—the largest in North America—is worth the trip. Hit the squat rack before you go. A ski trip to Beaver Creek comes replete with all the niceties that make Beaver Creek, along with Deer Valley, an alpha dog on the luxury ski trip circuit. But the Beav also brings an A-game to the skiing part of the ski trip; this is a mountain with good fall lines etched all over it. For those who happened to catch Beaver Creek with a good spell of powder on their ski trip, an epic day is in the offing. Beaver Creek skis off more slowly, especially during the week, compared with other large destination resorts. Some of the long pitches coming off Birds of Prey Express are the best stretches of fall line in central Colorado. Whatever you do, ensure you finish up in time to get a cookie. Mammoth occupies an advantageous position in the Sierra that puts its base 2,000 feet higher than other ski resorts in the greater region. This makes for more dependable snowpacks, which, of course, is great to know when planning a ski trip. In addition to its altitude, the resort shelters much of its snow on north-facing terrain, keeping it cold and fresh. On-mountain lodging options are amongst the deepest in the industry, although can book quickly thanks to a hungry L.A. skiing market. A hidden gem on the Salt Lake side of the Wasatch, Solitude gives Utah ski trips an escape valve when things at Snowbird, Alta and Park City grow too busy. The mountain is aptly named. With its location in Big Cottonwood Canyon, Solitude offers one of the best snow profiles in North America, where it gets pounded by systems amped up on lake effect moisture that get trapped against the west face of the Wasatch. The village has been greatly upgraded, and offers an opportunity for a truly quiet retreat against some of the best skiing on the continent. 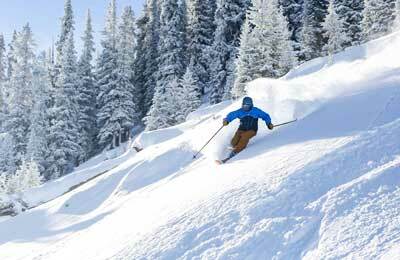 Aspen Highlands gives ski trips to the Aspen area an added dimension. This is a skier's mountain, where fall lines are pure and runs tend to be void of people. The bootpack up Highlands Bowl is one of the premier in-bounds hiking tracks in all of skiing. And for those who make its summit (it's not that bad; you can make it), the rewards are real: long, steep lines with powder stashes throughout the trees. Highlands offers a little nip of Alta-style rough edges in the what is the most exclusive alpine valley in North America. The name Aspen has been synonynous with ski trips for decades—with good reason. 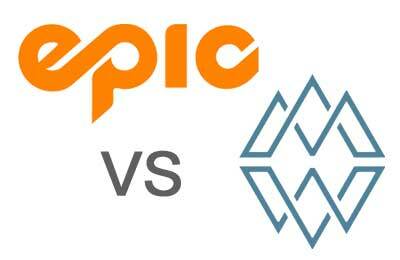 Aspen defined the paradigm for ski towns everywhere else in North America. And it still remains one of the continent's best destinations, with one of the most tightly integrated relationships between ski resort and town. Skiers here can go as upmarket as they want in lodging and fare, but there are bargains to be had by those who book early. The skiing here will please anybody: tons of legitimate expert runs, great intermediate cruisers and very few crowds. Grand Targhee's corner of the Tetons offers one of the best situations for powder skiing in all of the world. 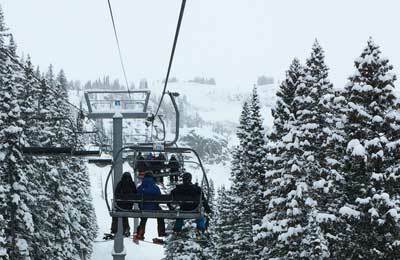 For those seeking a ski trip that delivers a higher probability of a large snowfall, Grand Targhee should be near the top of the list. The village at the base of the ski resort has seen major investment during the last 15 years, making top-end lodging a reality. The nearby town of Driggs, Idaho, has undergone its own boom during the last 10 years, and offers skiers more dining options. Jackson Hole is an easy day-trip from here. Work Brighton into a Utah ski trip when other resorts are getting crowded, or when Park City doesn't have a lot of snow. Brighton, located on the Salt Lake side of the Wasatch, is one of the best places in the world for snow. Its terrain is mellower, but there are some good pitches up top that will keep anybody happy. Big Cottonwood Canyon continues to be an underutilized skiing asset. Expansive terrain and high altitudes keep all kinds of skiers happy and the snow cold and plentiful. For ski trips to the I-70 corridor, Breckridge offers the most genuine ski town experience of the bunch, with a bustling main street featuring a mix of old and new structures. The lodging pool is deep here, and the lift system is large and fast, moving skiers around multiple peaks with ease. The king of on-mountain ski food, Deer Valley brings quality to its on-mountain cafeterias that set a standard 30 years ago and remains the bar at which all other ski areas are judged. Our advice: double chocolate cookie and the turkey chili, in that order. The on-mountain lodging pool is among the deepest and most luxurious in the industry. The level of service at Deer Valley is unmatched anywhere else. 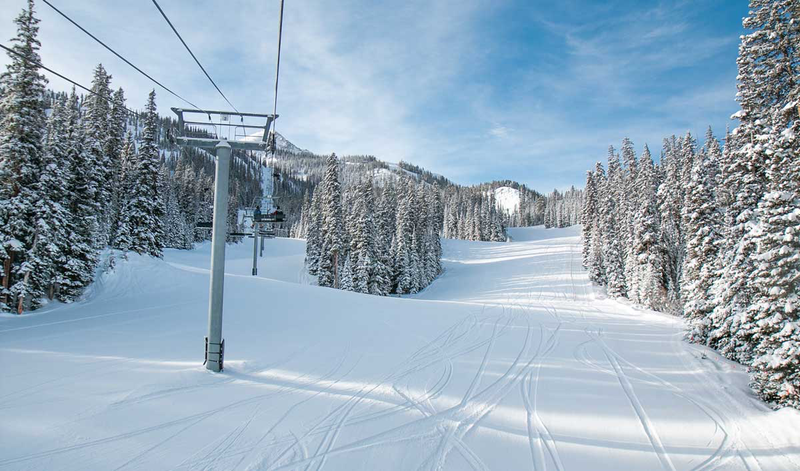 The skiing offers something for everybody, with world class groomers and steep chutes off of the Empire Canyon Chair. As the host of the 1960 Winter Olympics, Squaw is a formidable mountain with big vertical terrain that challenges the best skiers in the world. But it's also a superior destination for ski trips, as it has great amounts of intermediate cruisers and varied terrain that can keep a big group skiers with disparate skill sets entertained. The village has been built up and is one of the two best in the Tahoe region. Whitefish has developed something of a cult following. People who take one ski trip to this Montana outpost are highly likely to go back again and again. The mountain is big, at 3,000 acres, never crowded and it gets better than 300" of snow a year. The tree skiing here is excellent and the place is truly away from the bustle and chatter than can dominate other resorts. If you're taking a ski trip to Alaska and you're not getting into a helicopter, then you're skiing at Alyeska. This is the big dog ski resort in the biggest state of them all. The place gets snow like few other spots on earth. Ten-foot storms happen. 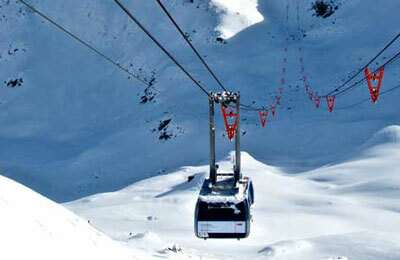 Traveling to Alyeska can be easier than many expect. The drive from the Anchorage Airport, which sports direct flights into most of the major hubs in the U.S., is only 45 minutes and features spectacular views of the ocean and mountains. Alyeska's base is basically at sea level, so altitude is not a factor for visitors. Hotel Alyeska is a keystone property and a destination in and of itself. The best spot for snow in the Tahoe region of the Sierra, Kirkwood gets lots of snow and tends to preserve it well. This gives those planning ski trips good piece of mind. It also beckons to the keener powderhounds in Northern California who try to dodge the crowds at Squaw and Heavenly. Kirkwood offers skiers a unique, snow-filled option in one of America's prime stretches of ski resorts. For those who haven't been, taking a ski trip to Taos requires a leap of faith. As the only major destination ski resort in the state of New Mexico, the routine of getting to Taos is outside the norm. But those skiers who do make the trip are rewarded with one of the most unique experiences in skiing, where the Southwest mixes with high altitude, deep green forests and wide open slopes. One of the most technically challenging mountains in Colorado, Crested Butte ski trips can keep any expert entertained. 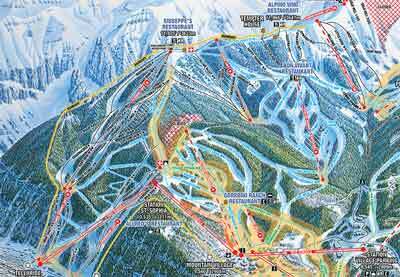 The mountain also includes a large number of blue runs (more than half the terrain), so intermediated will find this mountain a good fit as well. The town of Crested Butte is a beautiful mountain hamelet, with a legitmately old core of town that harkens back to the mining days. The lodging pool is deep thanks to a build-up of properties during the real estate boom. A stalwart of the inner British Columbia sanctum, Fernie gives skiers elite snowfall and lots of terrain that skis beautifully with a foot of powder. 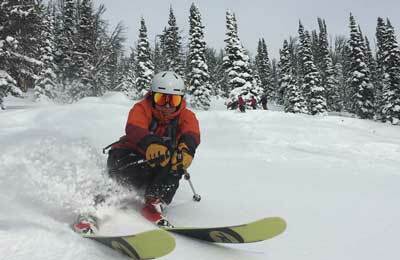 Ski trips here are further butressed by a high quality town in Fernie that has embraced the outdoor industry. Restaurants and boutique lodging outlets have sprouted up around town as well. 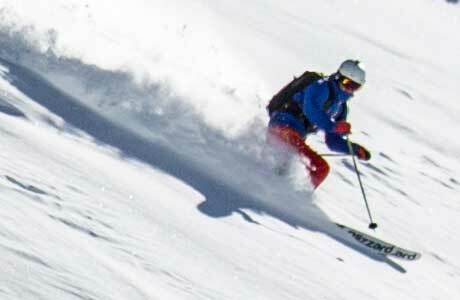 Fernie is often a good addition to a Powder Highway trip than can include Red Mountain and Whitewater (Nelson). 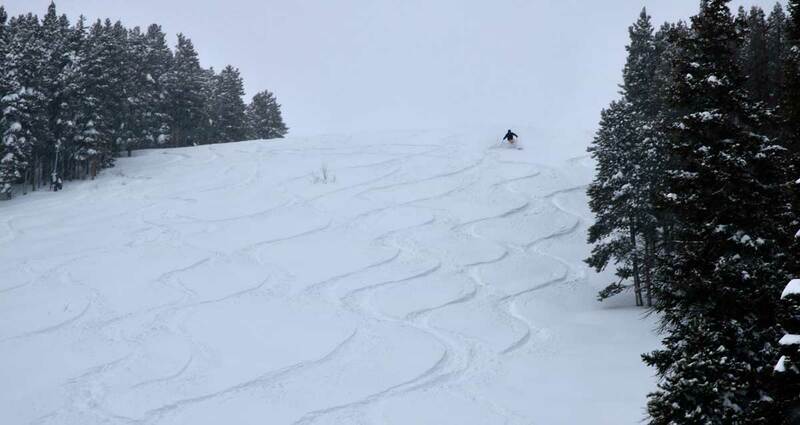 A-Basin is one of the few resorts whose typical conditions continue to improve from mid-January all the way through march. Snow here stays cold, even in the spring, thanks to the high elevation and lots of north exposure. Spring days here are among the best in skiing. 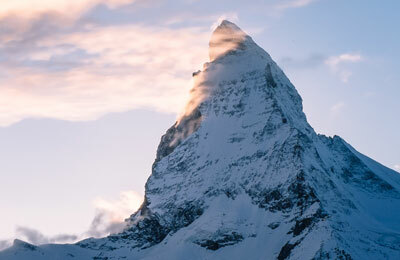 In early April, there is no better ski trip destination.